Unfortunately, minor aircraft collisions can be a fairly common occurrence. Earlier today two KLM aircraft collided at Amsterdam’s Schiphol airport. It appears that the incident appeared as though a B747 was pushed back into a B787. Both of the aircraft were about to start flights to separate destinations in the United States. However, due to the incident, both aircraft were grounded pending investigations into the extent of the damage. It appears as though KLM immediately rescheduled the passengers onto replacement aircraft. The incident occurred at around 1000 local time (0900UTC). A B747 (PH-BFV) was departing Schiphol for Los Angeles. This was due to operate flight KL601. At the same time, a B787 (PH-BHA) was departing to Atlanta. KL623 was being operated by the B787 at the time. It seems as though the B747 was being pushed back at the same time as the B787 was taxiing past. The B747’s winglet ended up making contact with the B787’s rear horizontal stabiliser. Images show the winglet hanging from the horizontal stabiliser, and the majority of the winglet missing from the end of the wing. 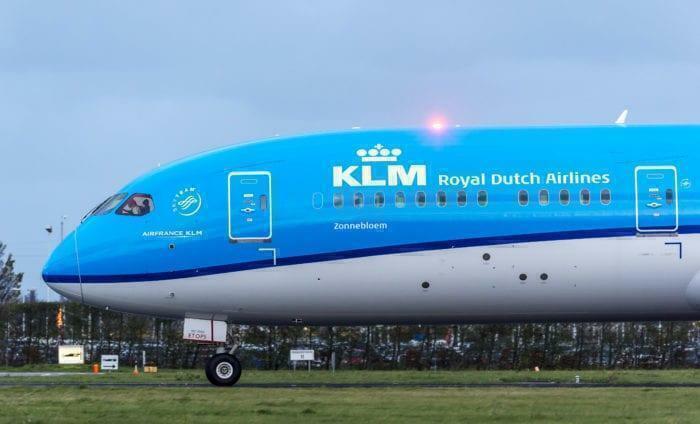 According to passengers on board the flights involved, the issue was quickly remedied by KLM. 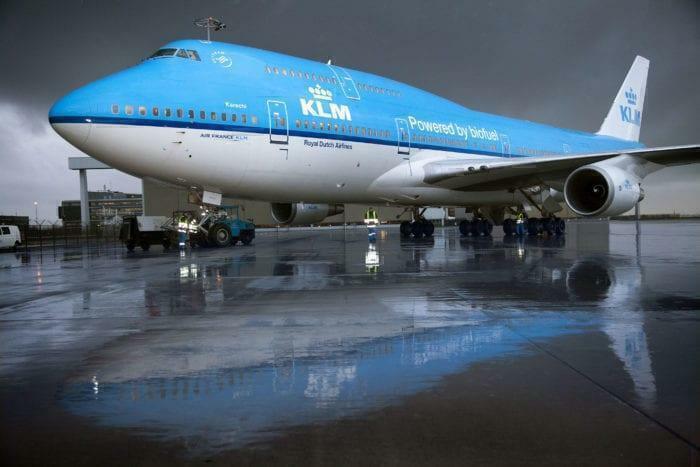 A passenger on board the B747 told twitter that KLM was sourcing a replacement B747 to operate the Los Angeles flight. In contrast, a passenger onboard the B787 told twitter that she had been rebooked onto a Delta flight which was scheduled to arrive only 1 hour 30 minutes later. Simple Flying has contacted KLM for a statement regarding the incident, however, we have yet to hear back from the airline. Unfortunately, this isn’t an isolated incident. In August a B777 aircraft belonging to Cathay Pacific was grounded in Rome. That aircraft was damaged when its wing was sliced by a light pole in the ground. Later, in November of 2018, a Lion Air B737 had its wing damaged when it was manoeuvred into a pole. Thankfully, the Boeing aircraft in today’s incident will likely be flying again within a few days. However, sometimes the damage can take slightly longer to remedy. Just days ago two Kenya Airways E190s suffered significantly more damage during an engine text. It appears as though the aircraft being tested in that incident did not have the breaks correctly applied. Were you involved in today’s incident? Let us know in the comments down below! Hi,can you please give me a list top 10 aviation schools.